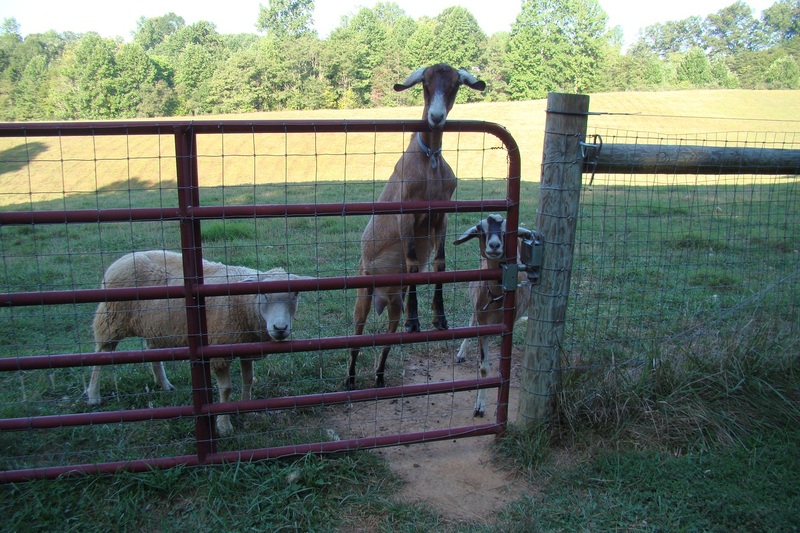 Hermione and Mina still wait for me by the gate to milk them, even though I stopped milking last Monday. Being milked means getting a special treat of goat grain on the milking stand, so they look forward to it. Instead, they are now sharing the feed trough in the barn with the rest of our little herd. Our sheep Gus is just wondering what all the fuss is about.